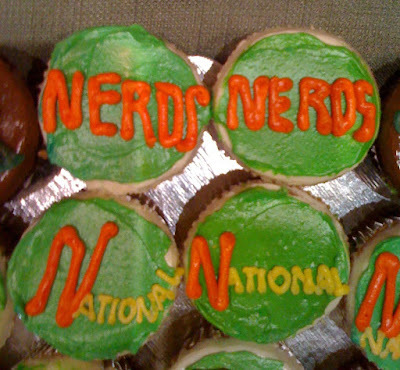 For more NERDS photos click this link. Can't wait to get my copy. One of the advantages of being the librarian, I get to read it first!! You do not have to post this as a comment but it's pretty cool...I went to Michael Buckley's twitter from your twitter and found the link to a contest for two copies of NERDS. You had to be a librarian at a title one school to enter, which I am, so I did and I won! All thanks to you!